Sometimes you want to play an RPG, but nobody wants to be the DM. That can put you and your gaming group in quite a bind. You're all prepped for a highly-immersive experience, but everyone has a character they want to play, as opposed to having to run the world. Thankfully, there are board games out there that fill in perfectly. Greenbrier Games has launched a Kickstarter for one such game. 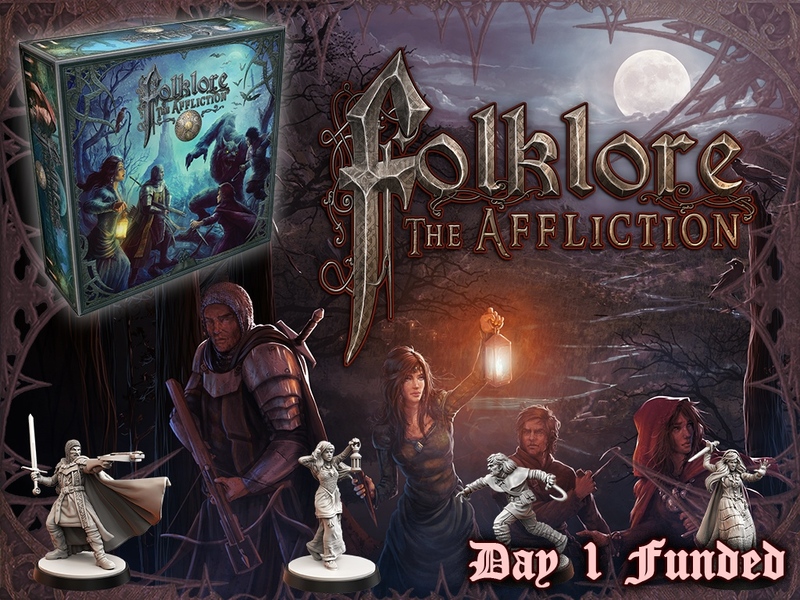 Folklore: The Affliction is up now and looking for funding. At the start of the session, players choose which story they want to play. Each story has several different chapters that can be used as stopping points along the way, if you run out of time for the session. But it's easy to pick them back up again next time. As you go along, the chapters become more challenging. Your heroes are fighting against the evil that is trying to take over the land. Vampires! Werewolves! Oh my! The campaign just launched and is already over their funding goal, so be ready for stretch goal surpassage (I've decided that's a word now. Deal with it) for the next 20 days.